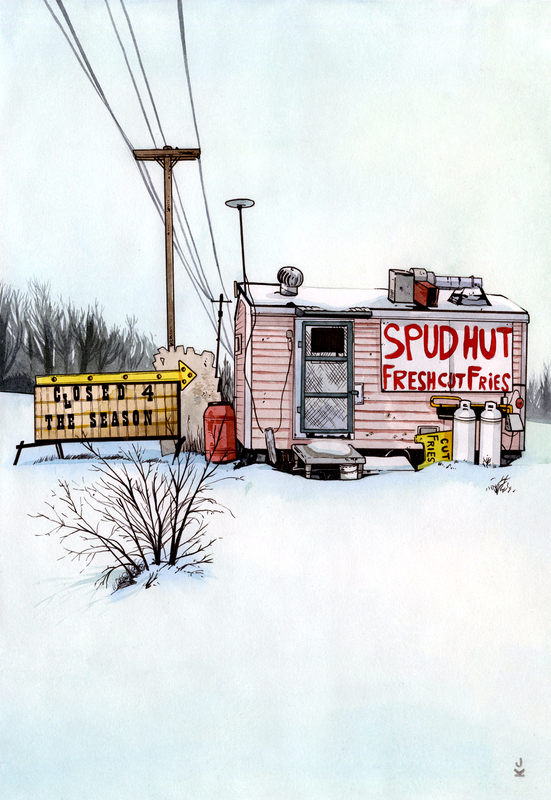 The Spud Hut used be located on Hwy 7 on the outskirts of Perth, Ontario. The Spud Hut has now been replaced by a shiny new chip wagon that is too boring for us to draw. We’re glad we were able to capture the Spud Hut before it was replaced.